Prior Park College is set in 57 acres in a stunning location overlooking the World Heritage city of Bath. Dedicated and inspiring staff aim to develop as fully as possible the academic and other talents of each boy and girl. We encourage our students to embrace all the opportunities on offer at Prior – acting and singing in first class productions, competing for their team, producing impressive works of art and design, leading our charities work and taking a full role in their House activities. All students are members of a House and this House System generates a wonderful sense of community whilst instilling positive values. They are also fun, with a huge variety of House led activities happening throughout the year. Each House is run by a Housemaster or Housemistress with a team of tutors and all offer encouragement and support to each student within their care. Our pastoral care is highly regarded by parents and students. Academic Programmes: Our curriculum is broad but balanced. Students take on average 10 GCSEs. We help students to set targets and measure their success against their own potential. This is reflected in our results. Our ‘value added’ score (as identified by the Department for Education league table) is impressive, putting us in the top 5% of schools in England for pupil progress. 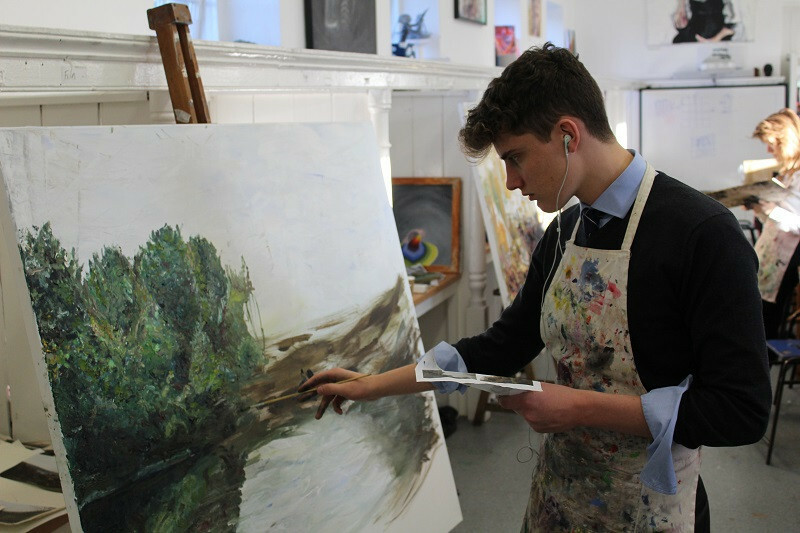 At A Level, the majority of our students take three A Level subjects plus an extra qualification – this could be a more vocational qualification in drama or sports leadership or completing the Extended Project Qualification (EPQ), which are well received by universities. 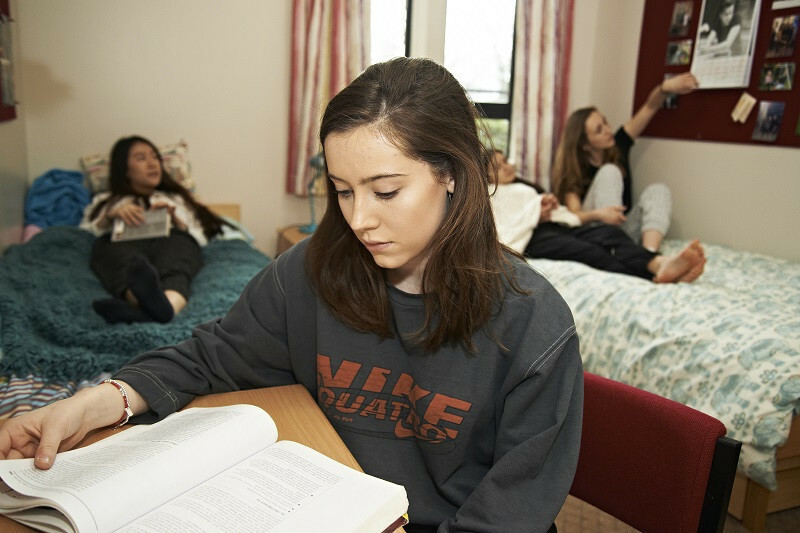 Most of our students go on to study at university of their first choice, including Oxford, Cambridge, Russell Group Universities, as well as medical school. Students who do not have a level of English close to a native speaker will be required to take English as an Additional Language (EAL). Our Head of EAL will assess every international student and can advise on the level of support required. Boarding: Our boarders are made up of British and international students from a broad range of countries. All students benefit hugely from making friends amongst our international community. A full weekend activity programme includes Saturday Active, cinema and theatre outings, sports fixtures, theme park outings, sightseeing, ten-pin bowling and shopping trips, amongst other fun pursuits. Boarders also benefit from being able to access the on-site facilities after hours, including our impressive Sports Centre and Fitness Suite. Sport: Our outstanding facilities and specialised coaching staff, that includes ex-internationals in both Hockey and Rugby, encourage all students, regardless of ability, to participate. The College is represented at various national and inter-schools tournaments throughout the year; in 2016 our 1st XI boys hockey won the National U18 Plate and our Girls Tennis finished 8th in the National Schools Finals in 2018. There is a wide range of sports available in addition to the core sports and many can be accessed through extra-curricular activities, including golf, sailing and fencing. Creative Art: Our Creative faculty comprises Fine Art, Photography, Textile Design and Product Design. Due to its popularity, the department has expanded considerably and a new Product Design Workshop opened in September 2017, providing facilities on a par with neighbouring universities and many industrial workplaces.